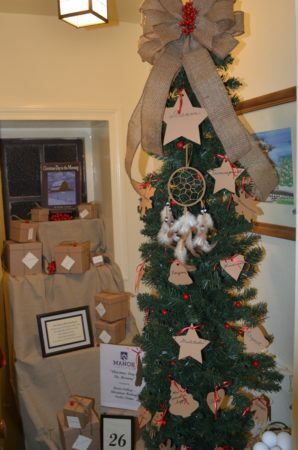 This holiday season, Manor College is participating in the 40th annual “Celebration of Light” Festival of Trees event at the Pearl S. Buck House. 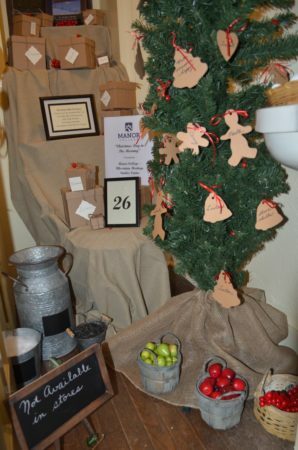 Manor College’s room will be decorated in the theme of “Christmas Day in the Morning,” a children’s book by Pearl S. Buck. The event will run from Nov. 13 to Dec. 30, 2018 (closed Nov. 22, Dec. 24-25). “Christmas Day in the Morning” is a story about a farm boy who has no money for gifts, and decides to give his father the gift of time–by doing his father’s chores on Christmas morning. To illustrate the theme, Chrystyna Prokopovych, Manor College’s Ukrainian Heritage Studies Center curator, asked members of the Manor community, including athletes and children enrolled in the Ukrainian Nest learning program, to say what “a gift that can’t be bought” means to them. She will then decorate a small tree with the submissions. 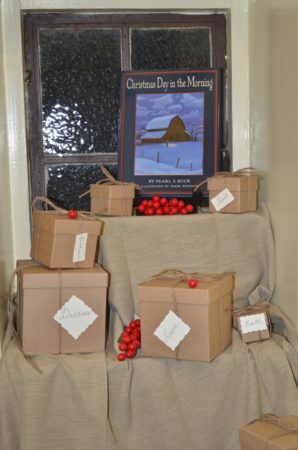 The rest of the small room will be decorated in the agricultural spirit of the book, with rustic brown boxes tied with burlap and a milk pail. The carefully preserved stone farmhouse–now a National Historical Landmark, located on a picturesque 68-acre estate–will showcase beautiful, hand-decorated displays and Christmas trees from artists and community groups throughout the region. Manor College is one of 27 groups contributing for 2018. The Festival of Trees is a unique and well-loved historic tradition that continues to grow and attract more visitors each year. “It’s an honor to be asked to participate. The people there are so wonderful to work with,” said Prokopovych. This will be the seventh year Manor College is participating, and Prokopovych’s seventh year as well. Manor College was founded in 1947 by the Byzantine Ukrainian Sisters of Saint Basil the Great, and is home to the Ukrainian Heritage Studies Center (UHSC). Community outreach remains a central tenant to Manor College’s mission. The Pearl S. Buck House invites the community in to learn more about the legacy of Pearl S. Buck, a prolific writer and Nobel prize winner, and about the artists, community groups and local businesses contributing to this special event. Tickets will be available for purchase at the Welcome Center. To learn more about the event and hours of operation, visit the Pearl S. Buck International website.